More people are wagering at online casinos from mobile devices than ever before. As soon as this year, those gamblers may be the majority, and so, there has been a trend in the industry to make the mobile experiences first-class experiences. William Hill, which is one the largest and most recognized casinos online, is the latest to join in on that approach. 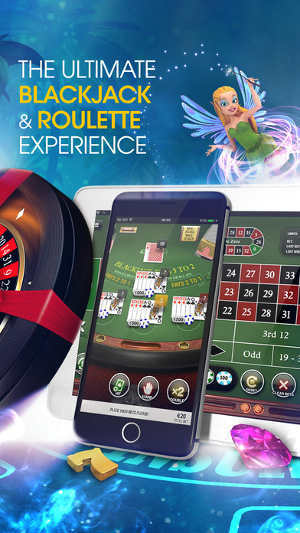 It has done away with device-specific apps and introduced a mobile browsing experience that is seamless with its classic desktop casino. And now is a great time to sign up to the William Hill Casino because you will receive 50 free spins with no deposit required! Click here to visit the William Hill Casino and get your free spins! The core William Hill website is now the mobile website. All you have to do is navigate to William Hill using any modern mobile web browser. There is no need to worry about a casino app or casino sub-domains. Any configuring needed for your particular device is performed automatically and behind the scenes. Your account is shared across all interfaces, which means any setting changed from your phone while on the road while be reflected on your PC at home. The site uses a Web 2.0 approach as well, which means everything is compartmentalized into app-like sections yet controlled through a single, uniform interface. The three core apps are the Casino, Vegas and Live Casino. The casino section is the whole shebang. Remember when mobile casinos had a streamlined selection or a small library that was distinct from the main offering? Well, those days are gone — at least at William Hill. Every table game, slot machine and keno-inspired contest is available through your mobile device as it is your PC. You can also favourite games, which is a handy feature that avoids you having to search games you’ve stumbled across and enjoyed. That is no small benefit when you consider that William Hill literally offers hundreds of unique slot machines to choose from. Change a setting for a particular game and that preference sticks regardless of from where you access that game. Las Vegas may be synonymous with casinos, but the William Hill Vegas serves a couple of purposes that set it apart from the core William Hill casino. One way it differs is that it provides a streamlined online casino entry point intended to be more user-friendly for the casual or new online casino-goer. Another way it differs is by providing access to platform-independent casino games, such as slot machines from NetEnt, Microgaming and Aristocrat. For many gamblers, this will be the first time they have been able to access some of these titles from their smartphones and tablets. 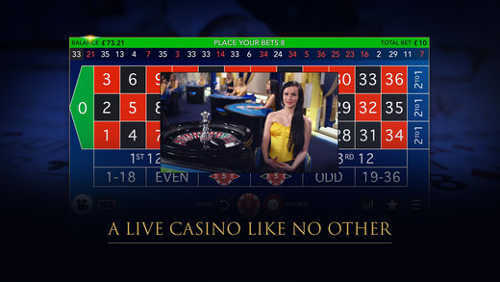 The live casino is completely integrated into the website as well as. That means that all you need to do to access these services is click on the Live Casino tab. You have full access to your account from here as well, which means you draw funds from the same bankroll and bonus pool. Table options include baccarat, blackjack, roulette and casino hold’em. There are more than 20 blackjack and five roulette tables at all times, and the service adds tables as needed, so you never have to worry about being left without a seat. You can play from right within the mobile browser, go full-screen and determine how UI-heavy or -light you want the experience to be. 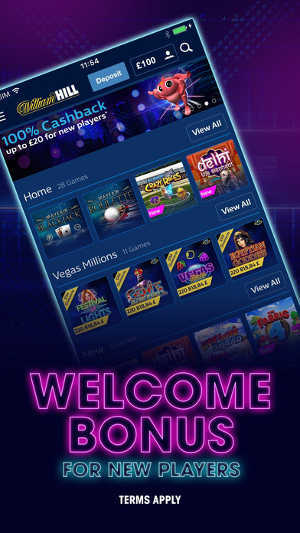 If you’ve had interest in William Hill but have perhaps waited until it was more mobile-friendly, then this is a great time to jump in not only because of the new website but because of the no deposit opportunity the casino is currently offering. 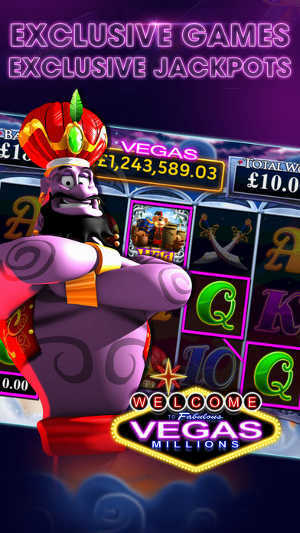 If you’re a UK resident, simply create a valid account, and the casino will give you 50 free spins! The only restriction is that you are limited to playing the Age of Gods themed slots. If after playing through the amount you’ve come out ahead, you are limited to withdrawing a maximum of £20 per day if you end up winning. There is a 40x play-through requirements on all winnings claimed from a no deposit bonus. 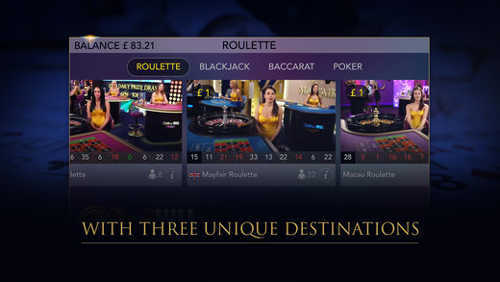 A nice aspect of the new approach at William Hill is that there is very little difference between the mobile and desktop experiences. That applies to the welcome and other bonuses available as well. 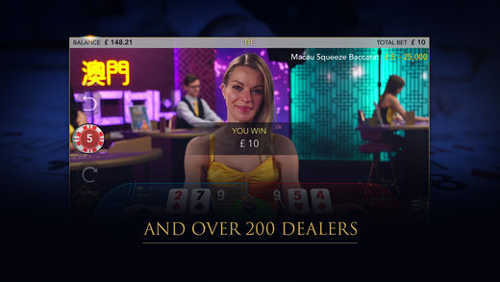 The main casino welcome bonus matches your initial deposit by 100 percent up to £300. This bonus does not require promotional codes or any hoops to jump through. Simply make an eligible deposit, which is any deposit £10 or greater, and the casino will automatically apply the bonus. That means that if you deposit £50, you’ll start with £100 to play with, and you’ll need to deposit £300 in order to claim the maximum bonus. Note that William Hill does have standard terms and conditions that apply to all bonuses unless otherwise noted. The first condition is that no withdrawal is allowed until you play through 40 times the deposit and the bonus. 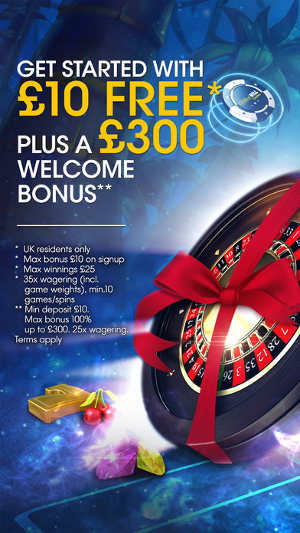 In other words, if you claim the £300 bonus, you’ll need to play through a total of £24000 (600 x 40). The other condition is that not all wagers equally satisfy the 40x wagering requirement. 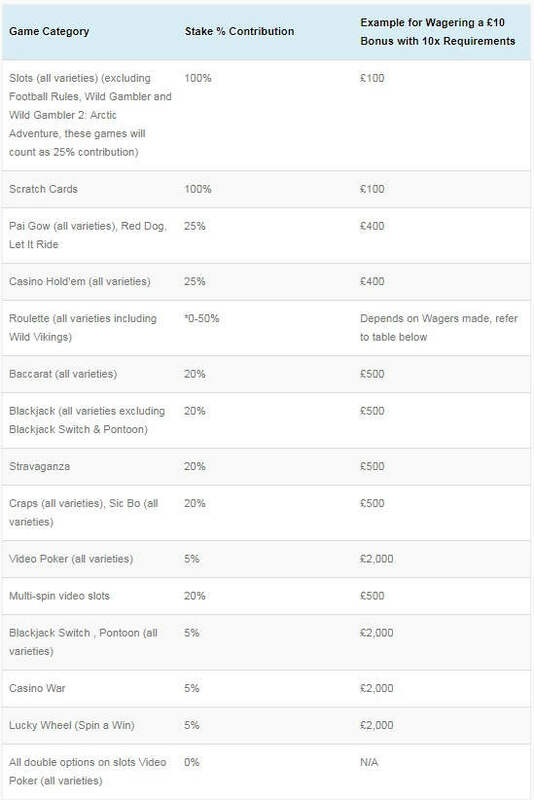 Rather, your casino wagers are weighted, which means, for instance, £1 on slots counts as £1, but £1 on baccarat only counts as £0.20. Sign up to William Hill Casino today! 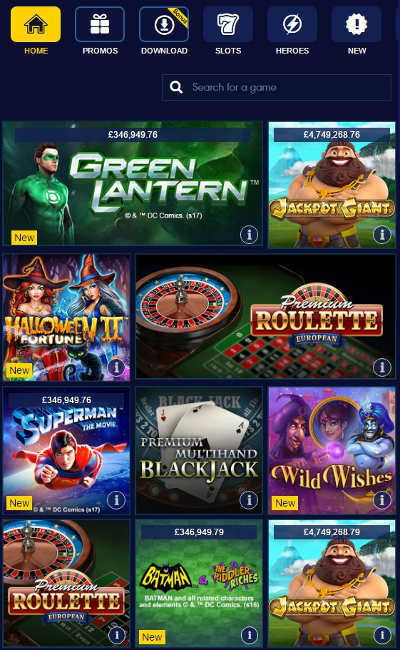 You can find additional information on the available William Hill Casino promo codes at http://bonuscodepromos.co.uk/william-hill-casino-promo-code/. Get Your 50 Free Spins at the William Hill Casino! Visit MobileBettingApp.co.uk for more reviews of mobile casinos and betting apps. Click here for a complete list of the latest William Hill promo code offers. Also visit William Hill Promo Code for all the latest promotions.